I admire any kind of creative talent, it’s what adds texture to life in my opinion. The creative genius of some individuals just blows me away with their obvious dedicate to perfect their craft. One such person I recently came across is Heather Rooney who is just an amazing artist, check out her Youtube channel by following the link in her name. This is just a taster of the amazing work she does. 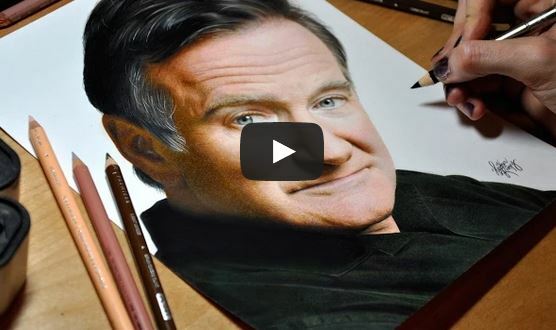 This is Heather’s tribute to the late, great, Robin Williams using Prismacolor colored pencil drawing and recorded using time lapse photography. Truly inspirational to watch the image created in front of our eyes, I am sure you’ll agree.